The Vol. 6, No. 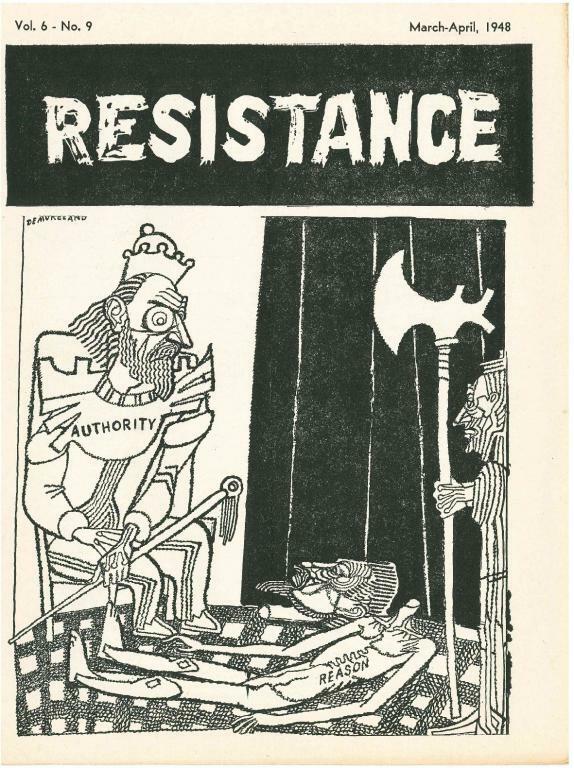 9 (March-April 1948) of Resistance, an anarchist publication produced out of New York. -Commentary: Where is Schweik? ; Dollars for Franco's banks? -From Spain to Karaganda by A.G.
-The war trial of the last man on Earth by M.
-Letters: The importance of nihilism from S.E.P.